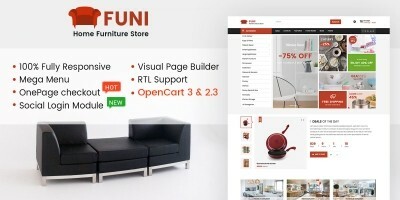 Browse 5 One page checkout OpenCart Themes. Created by our community of independent developers and designers. 5 fashion 5 multi colors 5 speed optimize 5 one page checkout 5 clean 5 multi language 3 customizable 3 opencart 3 2 opencart theme 2 technology. 2 technology 2 online shop 2 digital 2 multi store 2 mobile layouts 2 quick tool 1 opencart 2.3 1 opencart 23 1 opencart 3x 1 opencart themes.